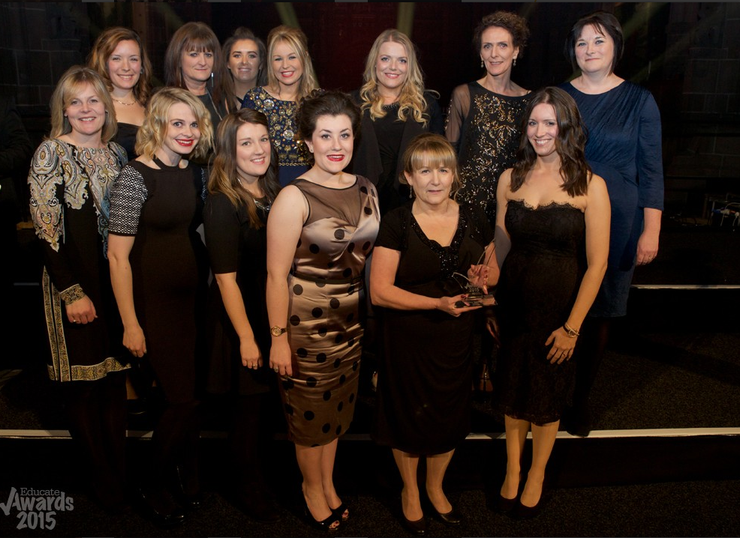 Our school are double winners of the Educate Awards 2015! We celebrated our fantastic achievements on Friday 20th November at the Educate Awards 2015 ceremony, winning awards in two categories and being runners up in two categories! Mrs Murphy, Head Teacher said, “We were shortlisted in 5 categories, which is in itself an amazing achievement. On Friday evening they announced that our school were winners in two categories – Leadership Team of the Year and Science Project of the Year! We were also runners up in The Community Partnership Award and Innovative and Creative Literacy Award! We are all so very proud of these prestigious awards which recognise the very good work our school is doing”. This year’s awards were a celebration of the successes and achievements taking place within Merseyside, Cheshire and Lancashire schools. The ceremony was held in Liverpool Cathedral. It was about teachers, pupils, staff, parents, support staff and carers who are making a difference in our schools by developing broad and innovative approaches to learning and creating inspirational ways of bringing the whole school communities together. It is also about recognising the energy and enthusiasm that goes on behind the extra- curricular activities that are helping to give pupils a brighter tomorrow.